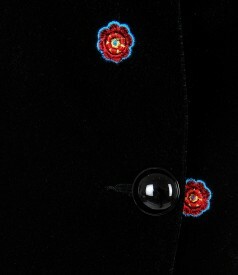 Embroidery velvet jacket, padded, with tunic collar and deep low-cut neck. Closes with a front button. 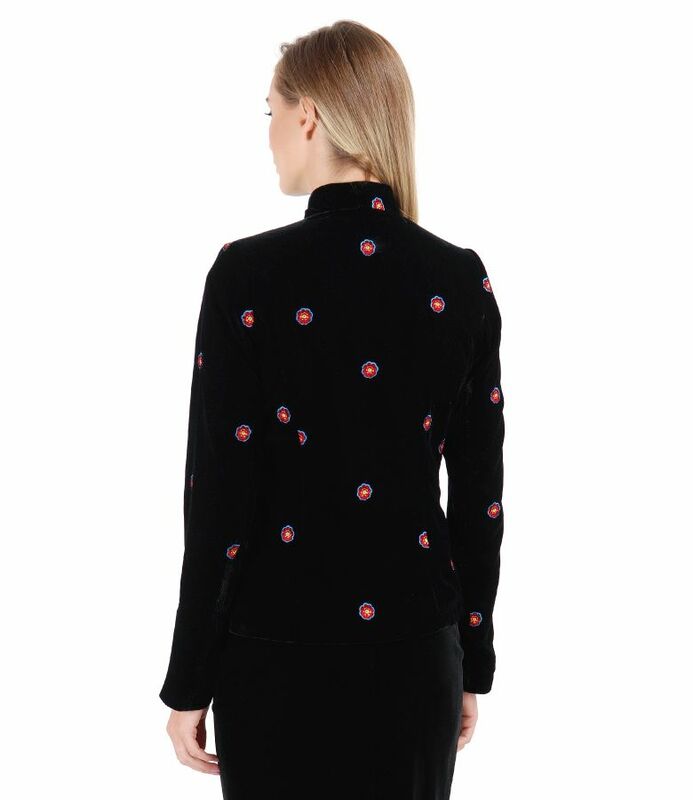 The model has a height of 1,74m, wears size 36, and is wearing size 36 EU.